With the holidays being right around the corner, all of the towns in Franklin County are lighting up with holiday festivities and cheer. This weekend in particular, two seasonal events are happening: JingleFest in Downtown Greenfield and A Special Day in Northfield. Support your local community and enjoy either or both of these festive events. On Friday, December 8, the Greenfield Business Association and downtown merchants of Greenfield are hosting JingleFest from 5 to 8 pm. The theme for this year’s event is “Light the Way,” as festival goers will enter a totally lit up downtown. There will be tons of kid-friendly activities such as holiday crafts, a Children’s Holiday Parade, and visits with Santa Claus at Wilson’s Department Store. Also during JingleFest, GreenFields Market will sell hot chocolates for just 25 cents and luminarias will be lit throughout Main St. Plus, businesses will compete for the best-decorated display window, voted on by shoppers themselves. All voters will be entered into a drawing for a free shopping spree. Of course, our local passionate art community will be represented at JingleFest, with the reveal of several art displays in storefront windows. Local artists created these works to beautify Main Street for all the shoppers and celebrate the holidays. New this year is the Greenfield Holiday Pop-Up Market, thanks to Yankee Candle, which will be filled with local artisans, music, food, and libations. For more information on JingleFest, visit their Facebook page. 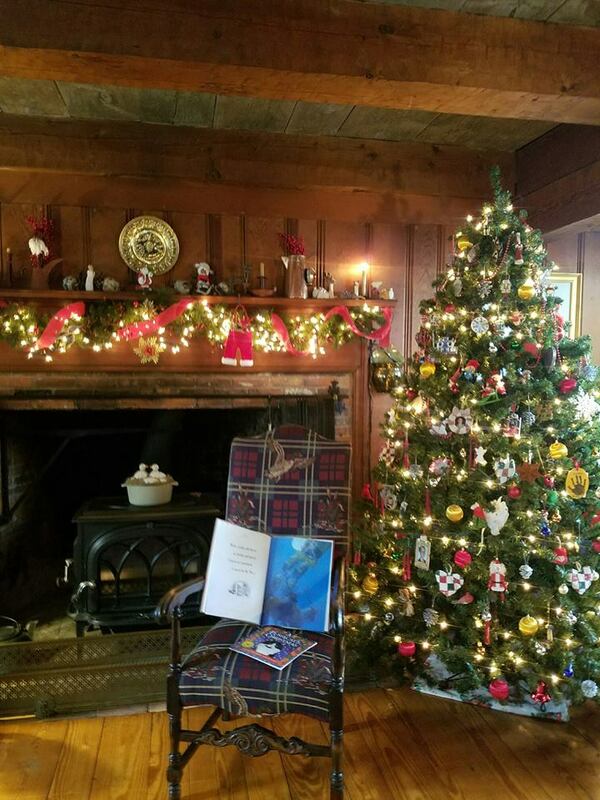 Since you can never have too much holiday fun, the next day, Saturday, December 9, head over to Northfield for their 12th Annual A Special Day in Northfield: Olde Fashioned Holiday Celebration. Happening from 10 am “through the evening”, this event is produced and sponsored by the Kiwanis Club of Northfield and the Northfield Area Tourism & Business Association. Blue and white snowflakes, signs and holiday wreaths on utility poles will guide people to event locations. There are several new events this year such as dinner at Cameron’s Winery, the Friday eve before A Special Day and the strolling players from the Pioneer Valley Regional High School Band. Also new this year is the Buxton Christmas Barn with fresh-cut Christmas trees, wreaths, and accessories and the Indoor Farmers and Craft Market downstairs at the First Parish Church. A Special Day will also boast a ton of kid-friendly activities. Mim’s Market is offering free gingerbread people decorating plus live music by Phil Watson and Friends on the Porch. Kids can also make winter-themed crafts at Dickinson Memorial Library and pine cone bird feeders at Kidder & Co. Other special events will include horse-drawn wagon rides, live theater, WHAI Radio Personality Nick Danjer, and even a bonfire at Northfield Golf Club. Click here to download the full event schedule.